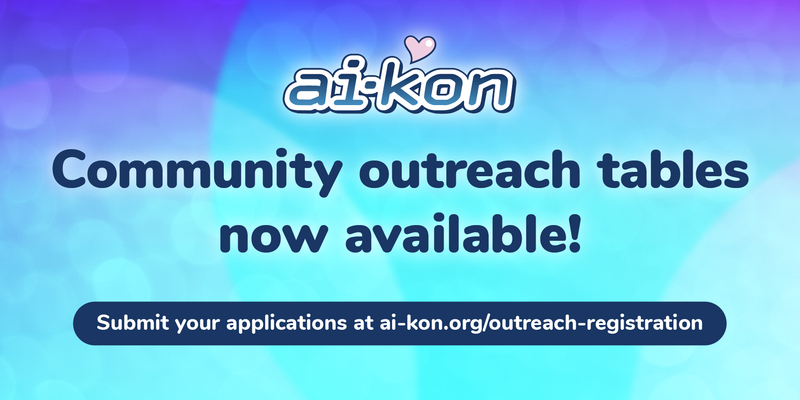 Ai-Kon » Community Outreach Tables are Now Available! Looking to promote your club, convention, organization, high school or university group, hobby community, dance troupe, non-profit cause or other social group? Ai-Kon loves to help out fellow anime, gaming, and Japanese / Asian culture influenced organizations. All those that fit our mandate of promoting Japanese and or geek culture are welcome! Ai-Kon can provide a promotional table at our convention to help you get connected with our attendees!